You'll explore the less-touristy side of things at Mount Hood and Oregon Garden. Go for a jaunt from Portland to Parkdale to see Mt. Hood Meadows about 1h 25 min away. 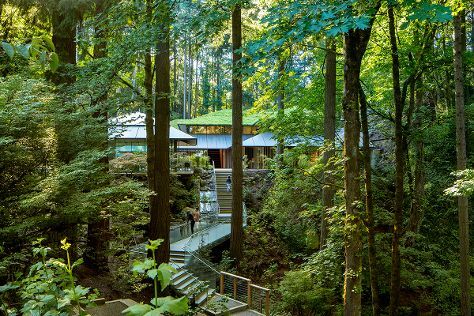 The adventure continues: stop by Powell's City of Books, appreciate the views at Willamette Valley, let your taste buds guide you at a local gastronomic tour, and take in nature's colorful creations at Portland Japanese Garden. To see photos, traveler tips, other places to visit, and tourist information, refer to the Portland travel planner. In December in Portland, expect temperatures between 45°F during the day and 35°F at night. Finish your sightseeing early on the 23rd (Sun) to allow enough time to travel back home.